At Living Yoga, we strive for transparency and honesty in all of our communications with donors, institutions, staff, volunteers, and students, including information about how our organization is funded and how those funds are used. Living Yoga’s Annual Gala, Invest in the Human Spirit, and our annual Yogathon, are our two biggest fundraising events of year. Together they comprise over ⅓ of the funding that supports our trauma-informed yoga programs. 11% of Living Yoga’s funding comes from fees for services. This includes dollars from partner sites that contribute to our cost share, as well as income from teacher trainings, trauma-resiliency workshops, and continuing education classes. 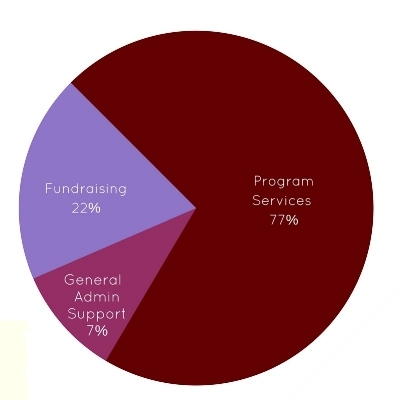 Individual contributions comprise nearly ⅕ of our funding, significantly impacting our programs and services. Special thanks to the 1,200+ individual donors who make our work possible, including our Roots Monthly Donors. As a trauma-informed leader specializing in yoga treatment and mindfulness practices, we have set the following priorities and goals. Increase and diversify sustainable sources of mission-aligned funding. Strengthen and diversify meaningful community relationships. Further expand use of evaluation tools and outcomes data. Advance diversity, equity and inclusion (DEI) throughout the organization and offer more continuing education opportunities for our community, covering trauma, oppression and privilege, gender equity, and Spanish language teaching skills. Increase alumni support with scholarships for Living Yoga's volunteer teacher training and continuing education, as well as resources for our alumni to continue their yoga practice after completing their initial program.